Cafe Balcony Garden Outdoor Table and 2 Chairs. Now Sold. 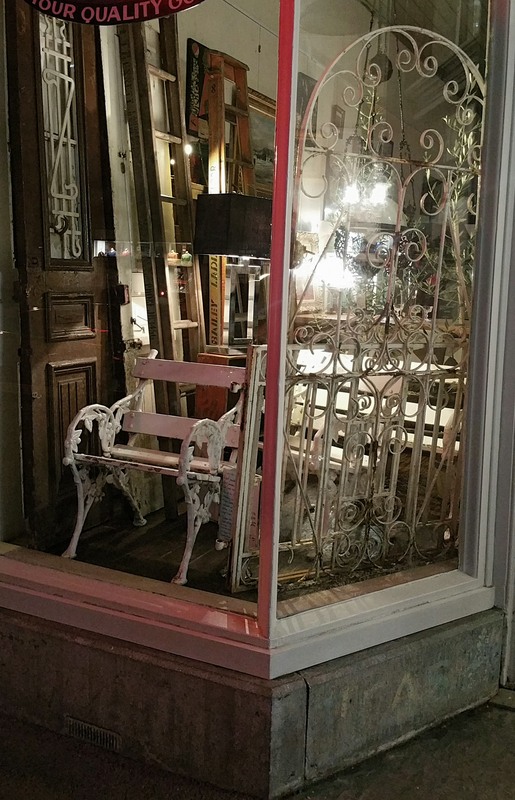 An outdoor table with an iron frame and two chairs. Very stylish but slightly wobbly. We feel this could be rectified. 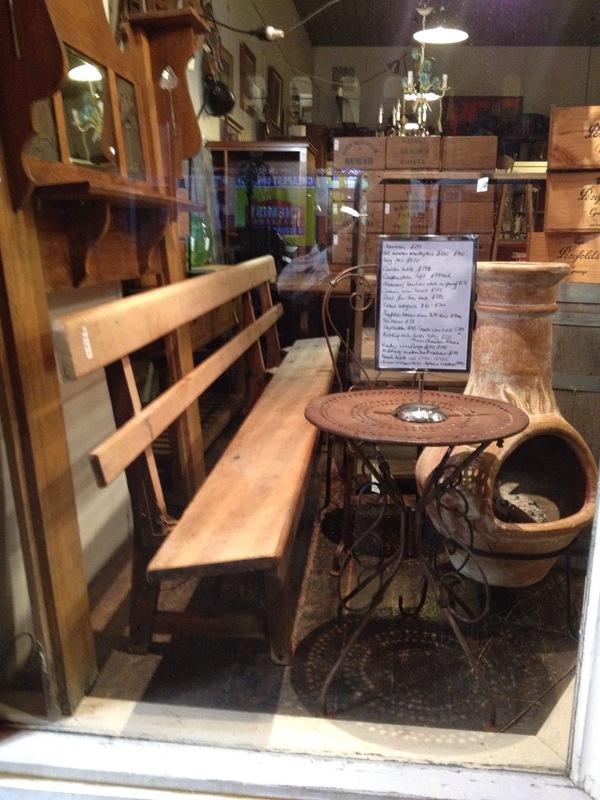 A particularly well made, strong, solid and comfortable antique style garden bench. Though best left under shelter it could easily be weatherproofed with some marine varnish to give a long life exposed to the elements. A well made marble top table in the classical style. Sitting on a detached iron frame. Very solid. Reproduction design. Price is for one, there are two available at the time of writing. 60 cms diameter and 64 cms high. Another slightly different set of gates 490, single garden seat 250, tall single iron gate 195, pair of metre high driveway gates 295. City Side Window Saturday Night. A three metre pew from the early 1900’s $670. A chimnea and stand $135, and a smaller iron table in the same style as the table and chairs recently illustrated. $190.